The Rick Hinderer designed Kershaw Agile is agile indeed as it comes with three interchangeable backspacers, each outfitted with a different tool: a bottle opener, a screwdriver tip, and a lanyard attachment. Choose whichever tool is needed for your job and then attach it with a single hex screw. The blade is 8Cr13MoV stainless steel that takes and holds a sharp edge. 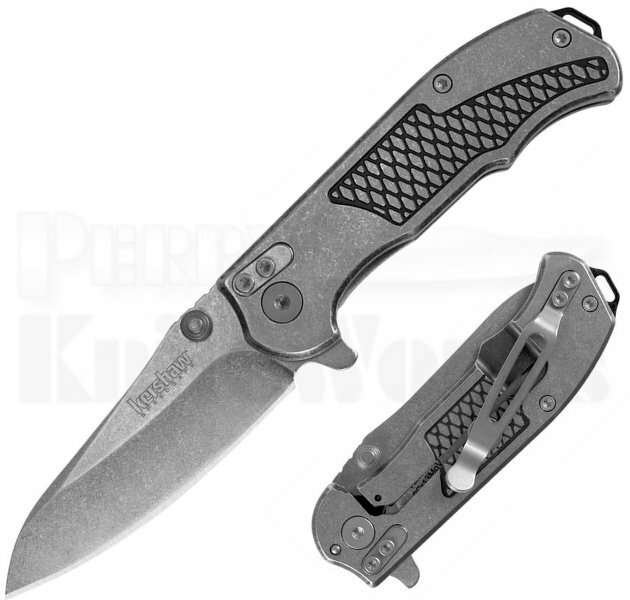 Kershaw?s stonewashed finish looks great and hides use scratches another very practical touch. SpeedSafe assisted opening make it easy to access the blade one-handed. Just pull back on the flipper. The stainless steel handle features a ?diamond plate? texture front and back for a confident grip. A sturdy frame lock, with lockbar stabilizer, secures the blade open during use. The handle?s two-toned stonewashed/BlackWash finish makes a handsome complement to the blade finish. For convenient carry, the Agile also offers a three-position pocketclip. Now with Free Domestic shipping!